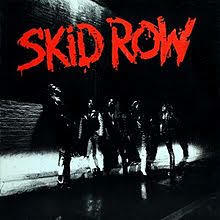 I’ve been listening to a lot of older music recently, Skid Row were one of the first bands I ever listened to back when I was a little one and they’ve always been a part of my music collection. I used to hang out with a guy who basically worshipped Sebastian Bach, it was hilarious how obsessed he was and he would drag me to every Sebastian Bach and Skid Row (even though SB was no longer in the band) gig that was within a 100-mile radius. He could sing better than the man himself as well. Funny thing is, last I checked he is now only a wedding singer! I hope you enjoy this. I loved Skid Row in my early teens and still have a soft spot for their songs now. I wish I’d had someone to take me to their gigs. Thanks for bringing back someone happy memories! Aw you’re welcome! They do still tour now, although with a different singer. I saw them last year.